This community pool facility includes an observation tower, dressing rooms and storage areas. 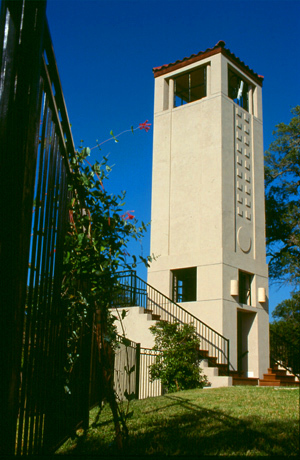 As the serves as entrance to a 3.5-acre neighborhood park. The structure’s forms and components were selected to be consistent with the stylistic theme of the neighborhood’s architecture. The arrangement is intended to give an image of welcoming prominence to the park’s programs.